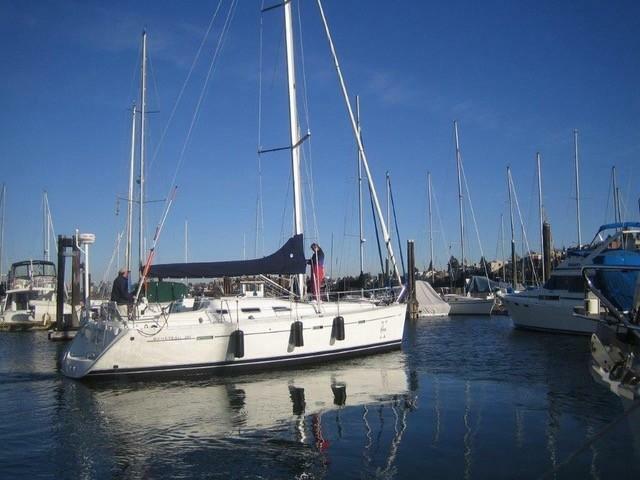 Are you getting ready to go sailing this year? 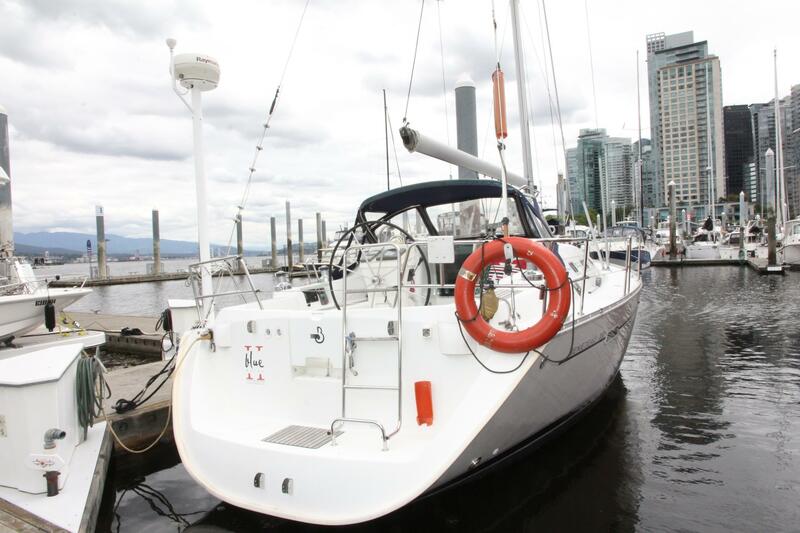 The Beneteau 393 is a unique 39-foot passagemaker. 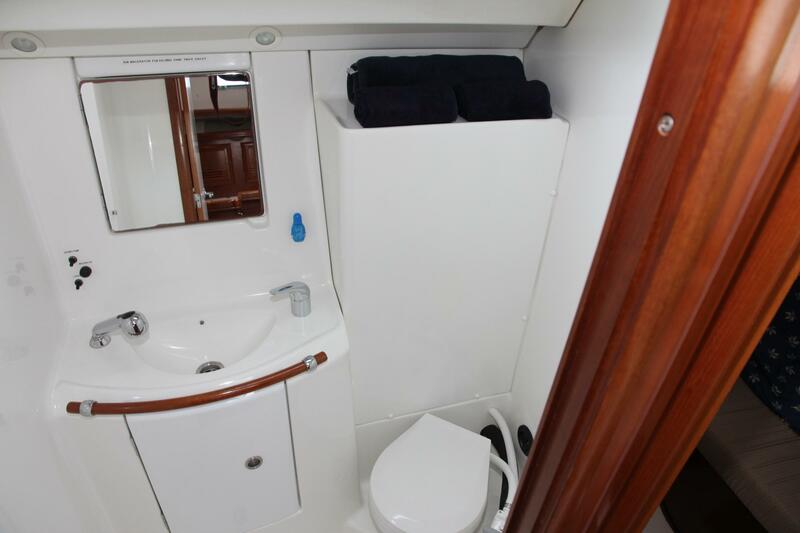 Roomier, more spacious, more storage and some of the best accommodations to be found. 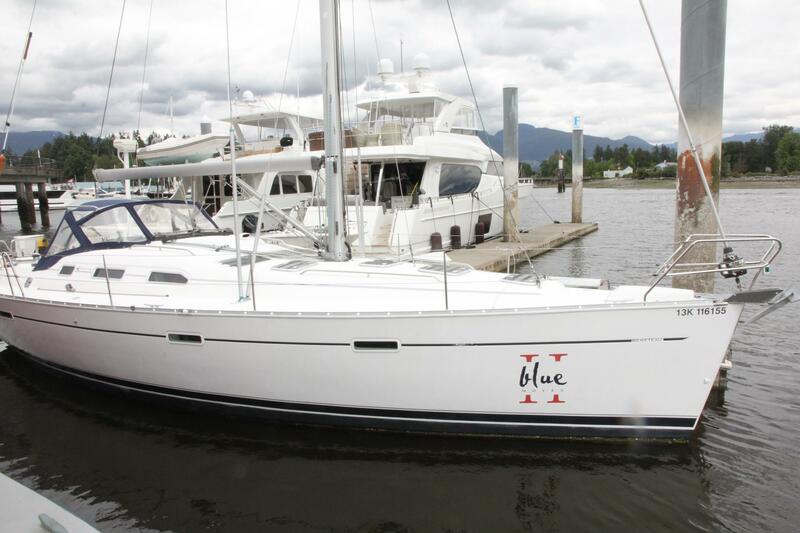 This boat is the perfect family boat for cruising our Pacific Northwest. 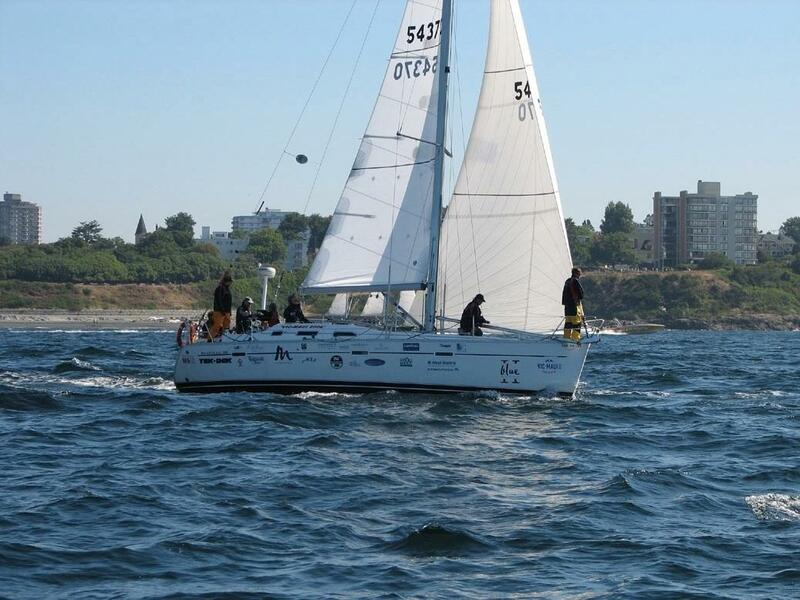 If you are so inclined, it is equipped with virtually all of the sails that you will need for that racing side of you, just in case. 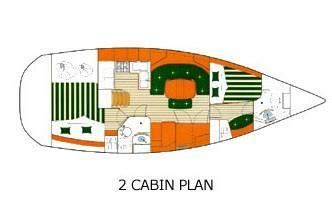 - Two cabins ... Pullman cabin forward and King Berth in Aft cabin. 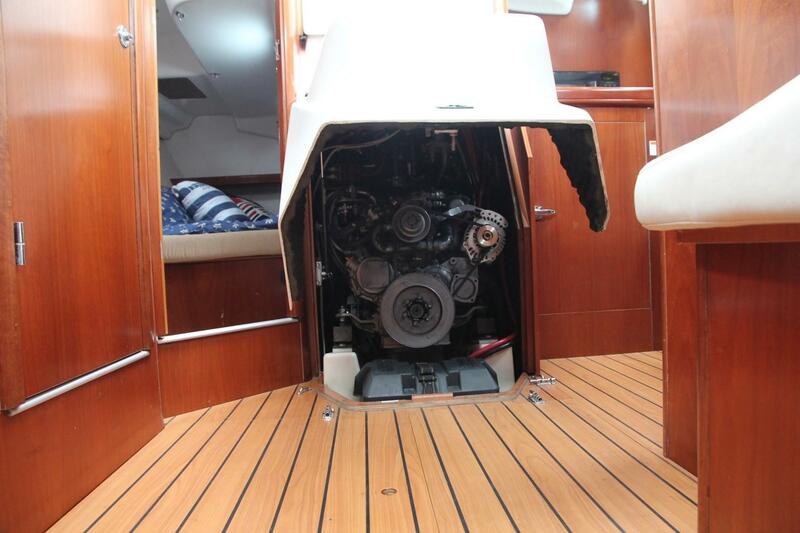 Step down the companionway and enter into the voluminous cabin. 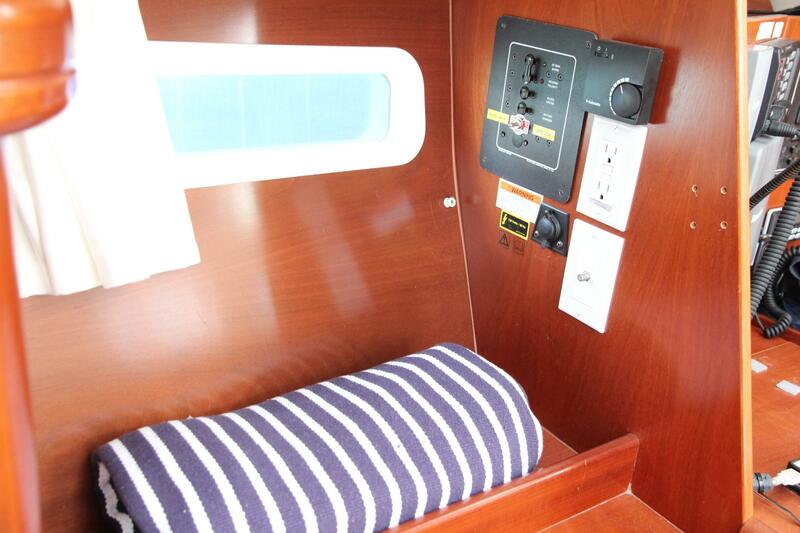 Immediately to your stern is the VIP cabin. 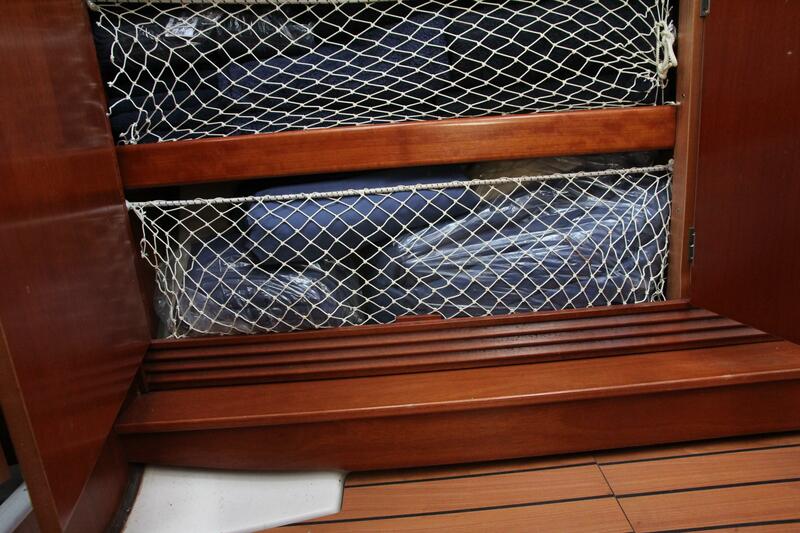 Your guests have a queen size berth, a nice hanging locker. 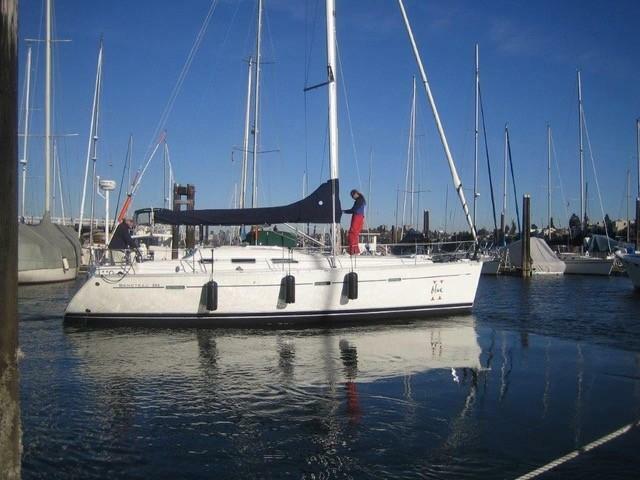 The Aft Head is immediately adjacent. The owner's cabin is forward. 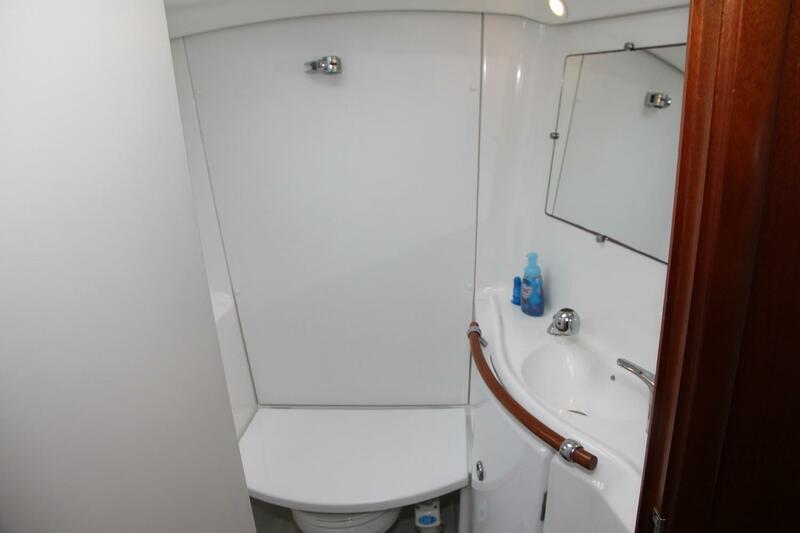 It is a Pullman Cabin on the port side. 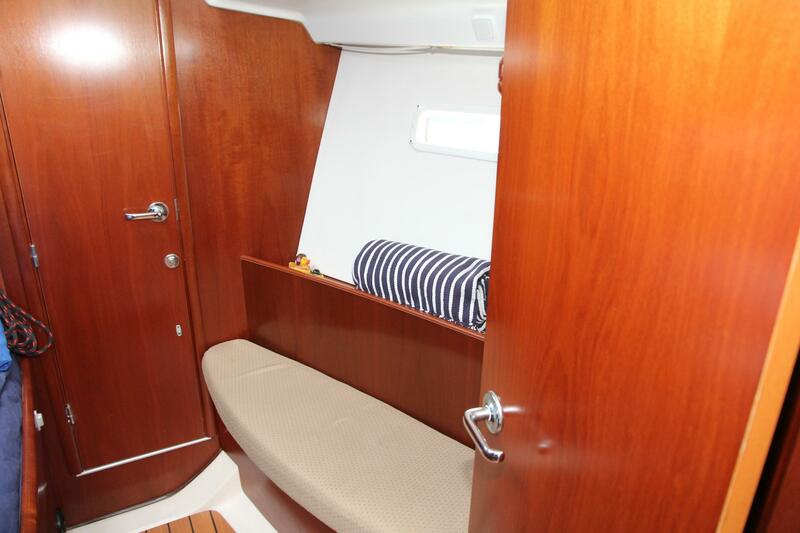 On the starboard side is a huge storage locker and bench seat. Immediately forward is the private head, complete with vanity and shower. The headroom is an amazing 6'5". The U-Shaped Settee is to port with a small centerline seat. The table provides dual duty. 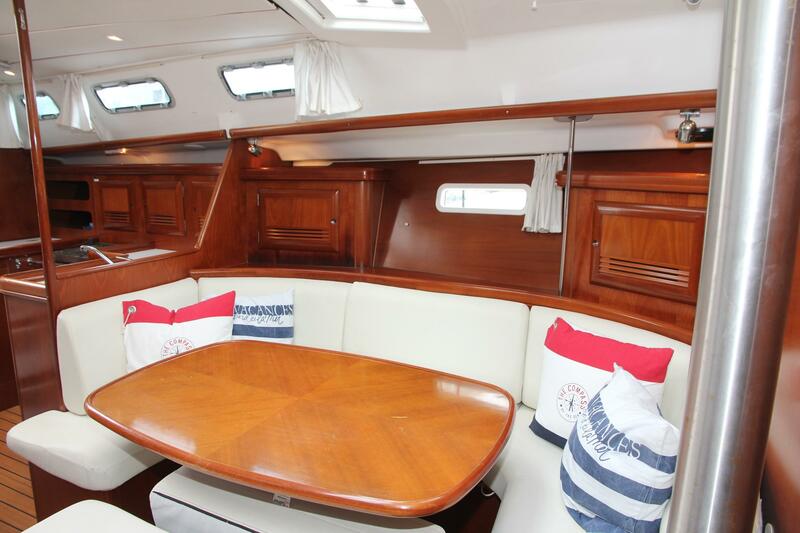 When used as a table, it provides roomy accommodation for 6. 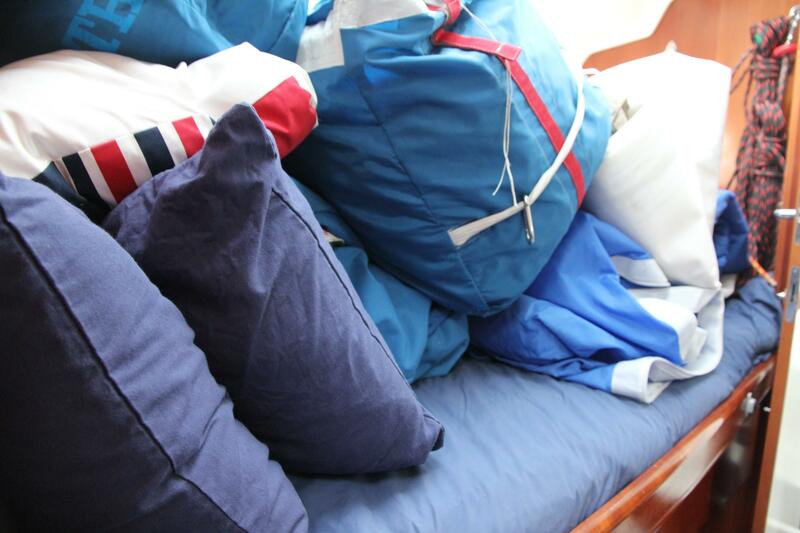 When required at night, it drops down into a double bed to accommodate two more. 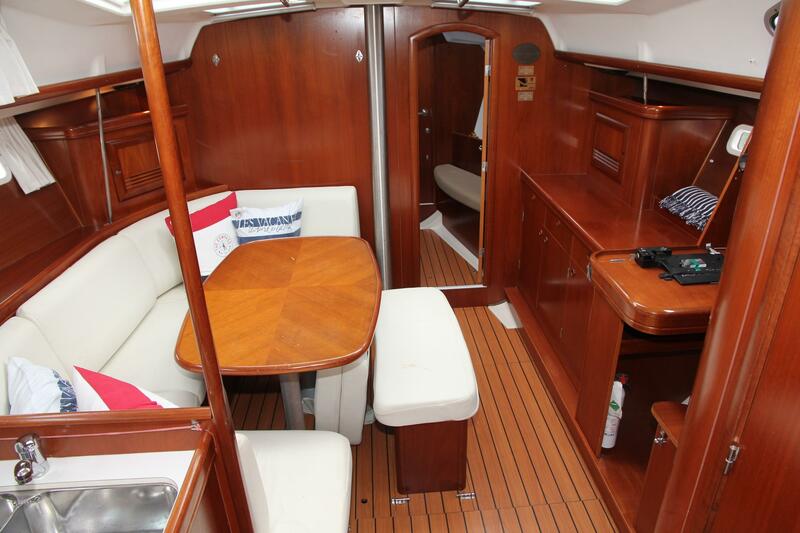 The spacious interior is stretched to its maximum 13 ft.1 in. 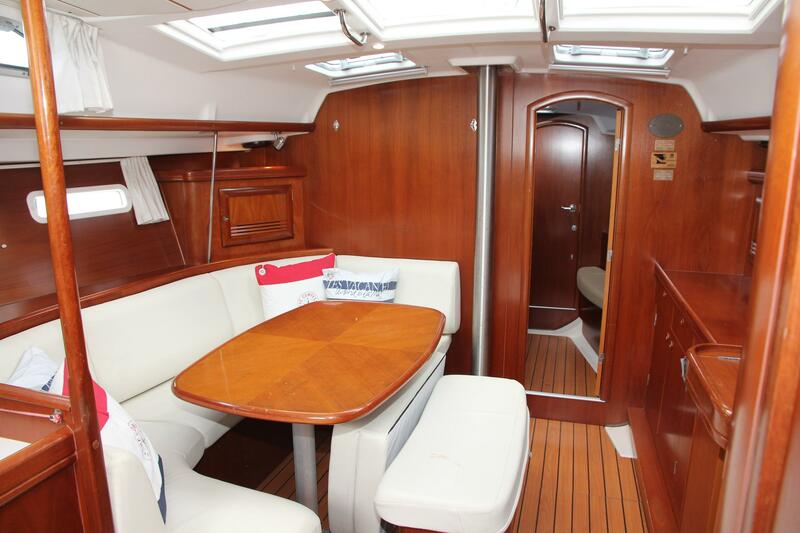 beam, by extending the furniture nearly to the hull. Great bookshelves and louvered lockers throughout. 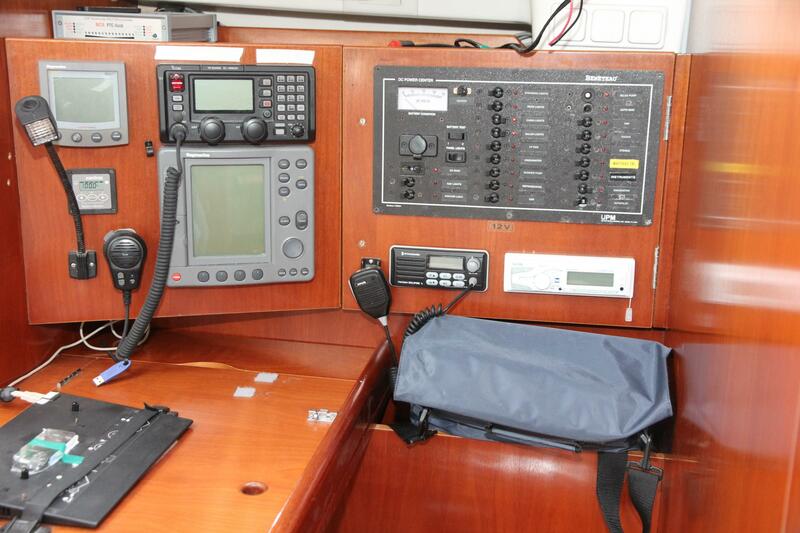 On the starboard side is the NAV station. 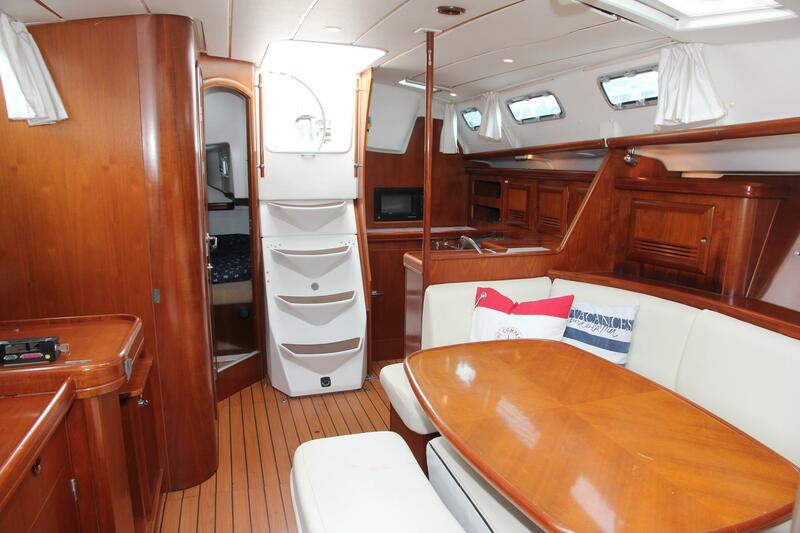 Great seating and storage beneath for all of your charts and books. 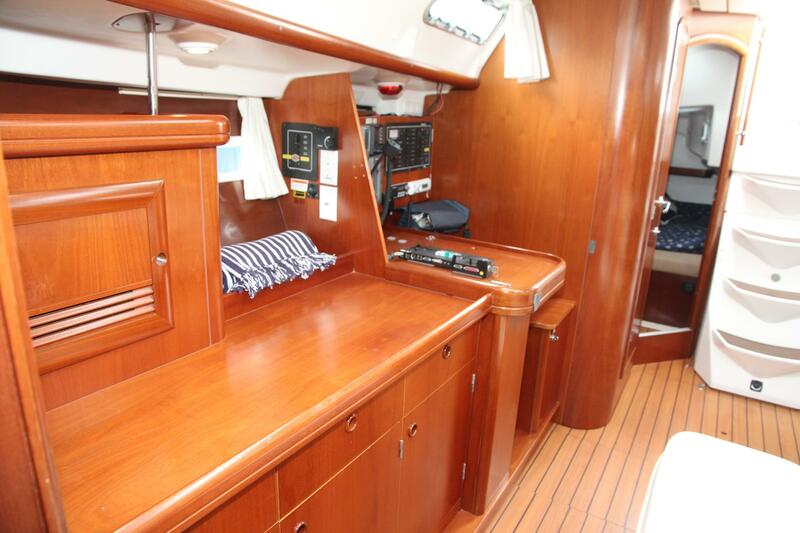 Immediately ahead of the NAV station is a credenza that provides fantastic safe and secure storage for a great variety of goods. The skylights above flood the cabin with welcome natural light. 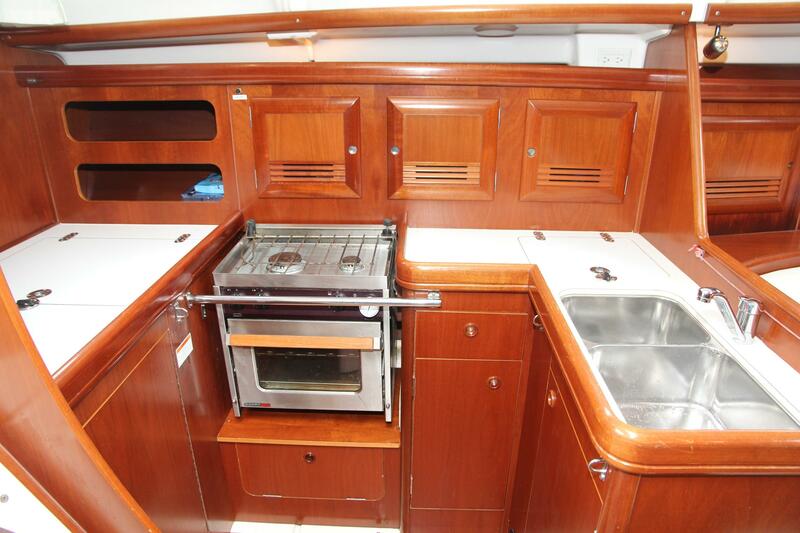 The galley is L-shaped and is to port. 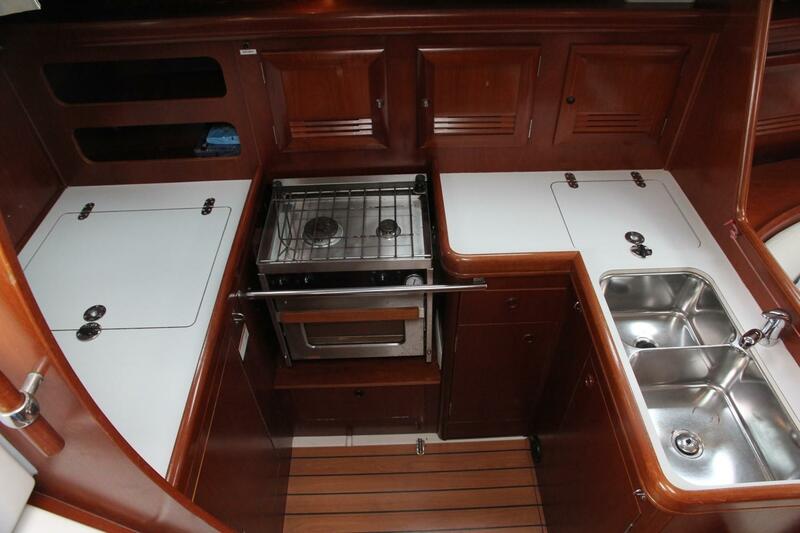 Double Stainless steel sinks face forward with a two-burner stove and oven outboard. There is lots of counter space over the fridge/freezer, which has both a front-loading section and a top-opening section. Lot's of refrigeration capacity. 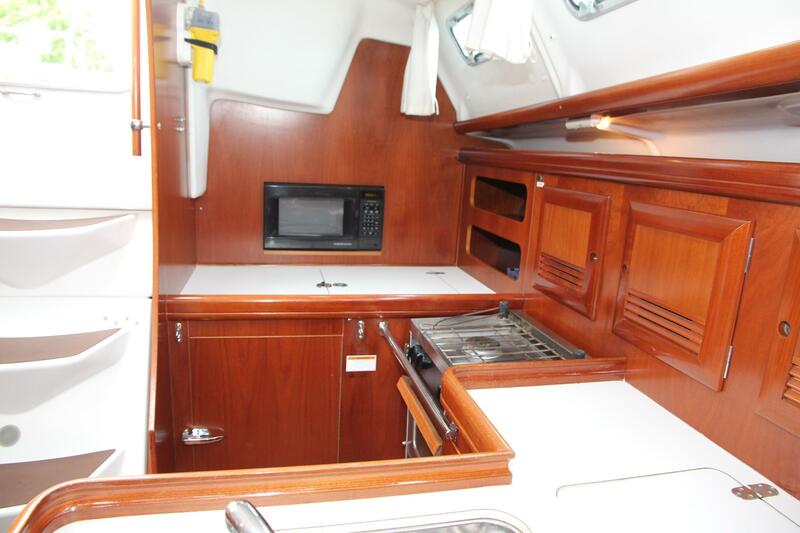 The galley is almost enclosed by the partition alongside the companionway, making it really comfortable to cook while underway. The cockpit is very wide, comfortable and well thought out. 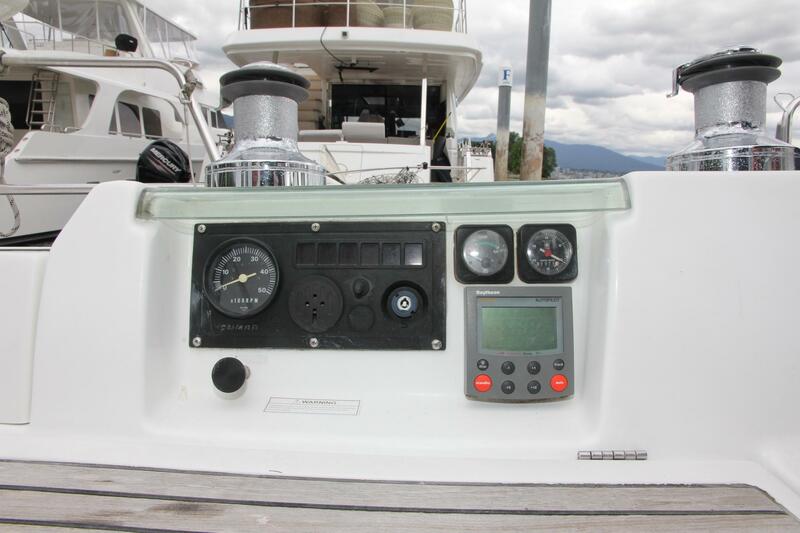 A fibreglass console homes the leather-wrapped wheel, instrument pods, well-placed stainless steel handrails and compass. There is a large drop-leaf cockpit table. 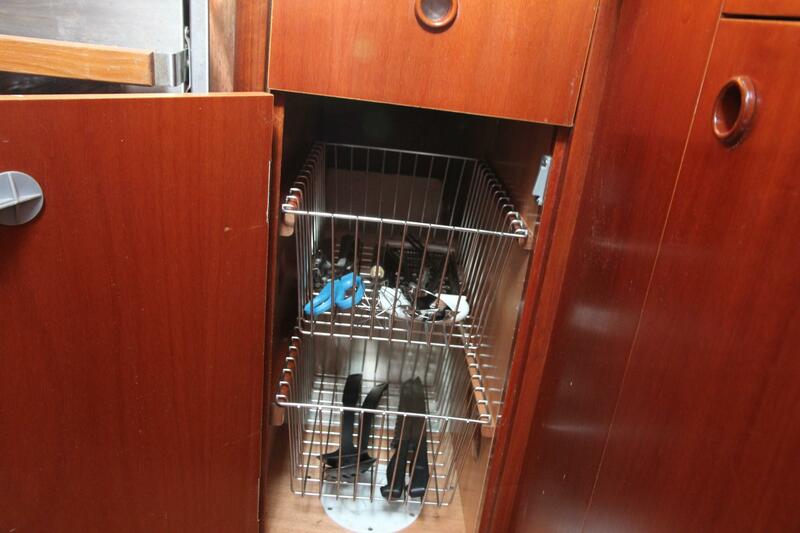 Large Sail locker storage on the port side. 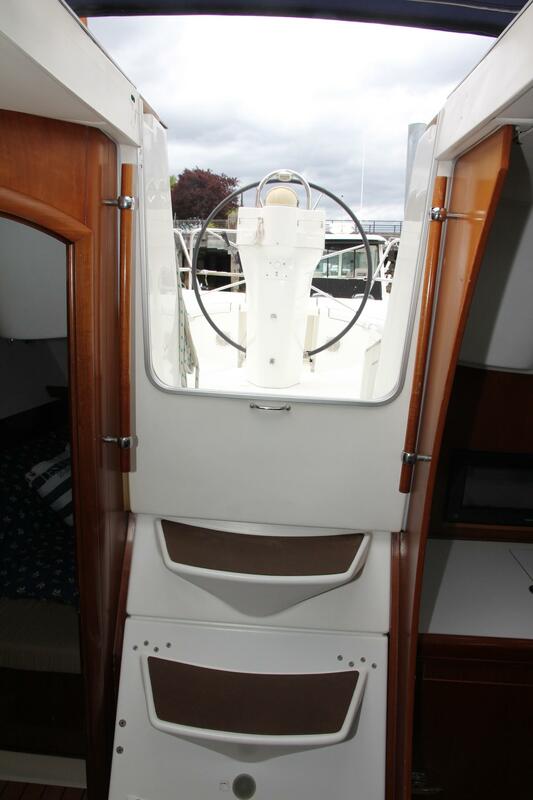 The helm seat cleverly drops to allow access to the transom step. 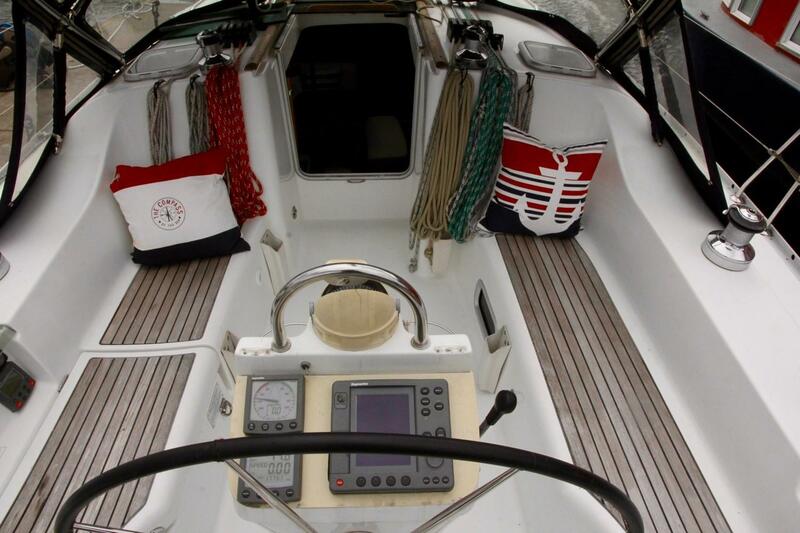 Two Lewmar 44ST winches, two Lewmar 48ST mounted on the cockpit coamings are the upgraded primaries. 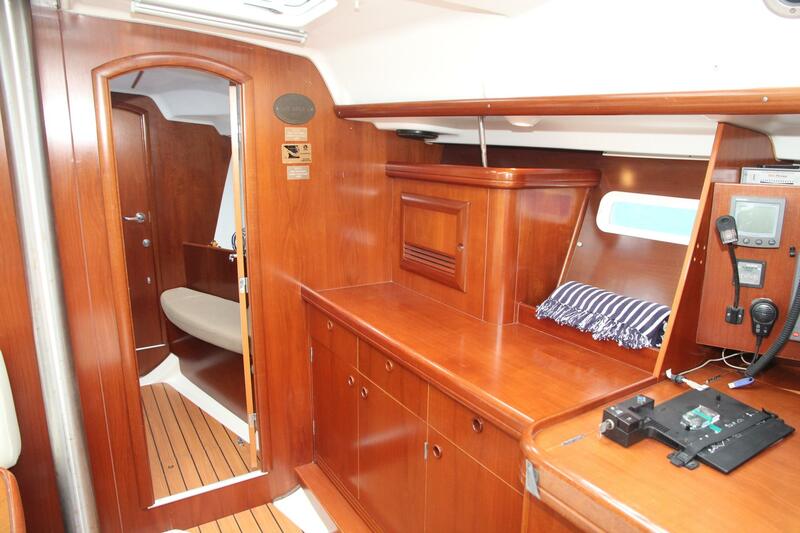 The cockpit is very wide and can accommodate six people without feeling cramped. 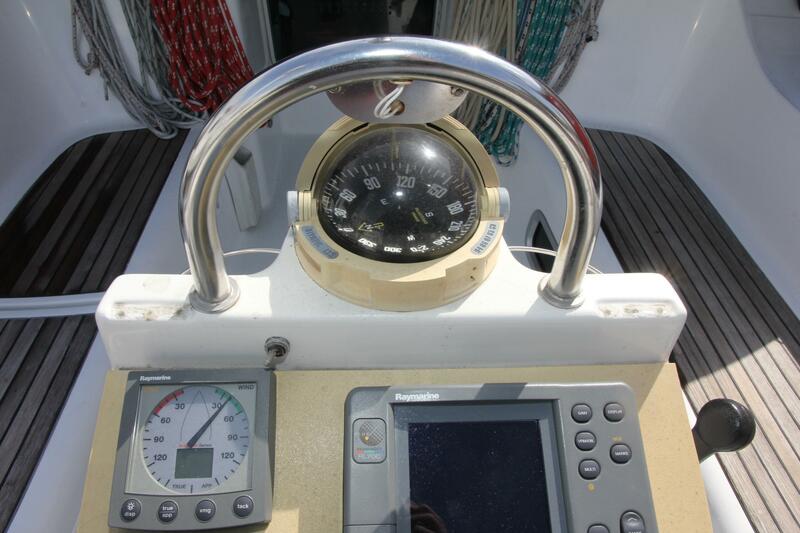 All other sail control lines are led aft and two Lewmar 30St winches on the coachroof -- stoppers port and starboard. 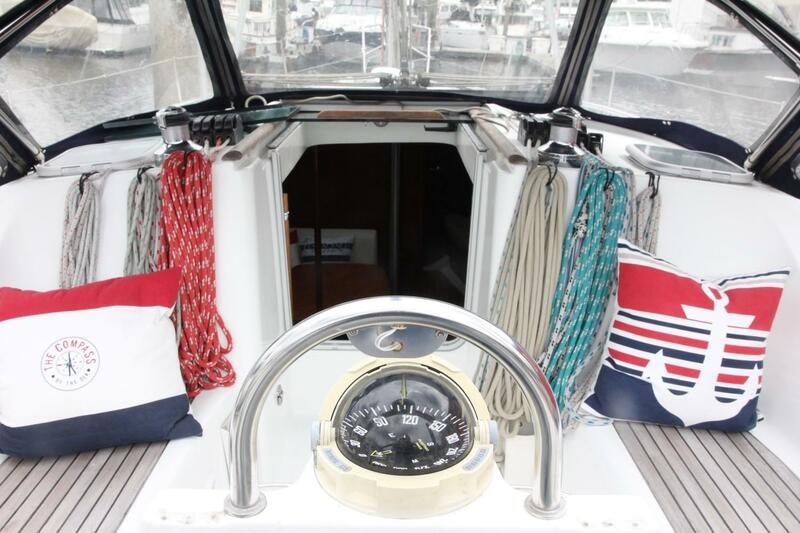 Canvas dodger is mounted on a stainless steel frame. 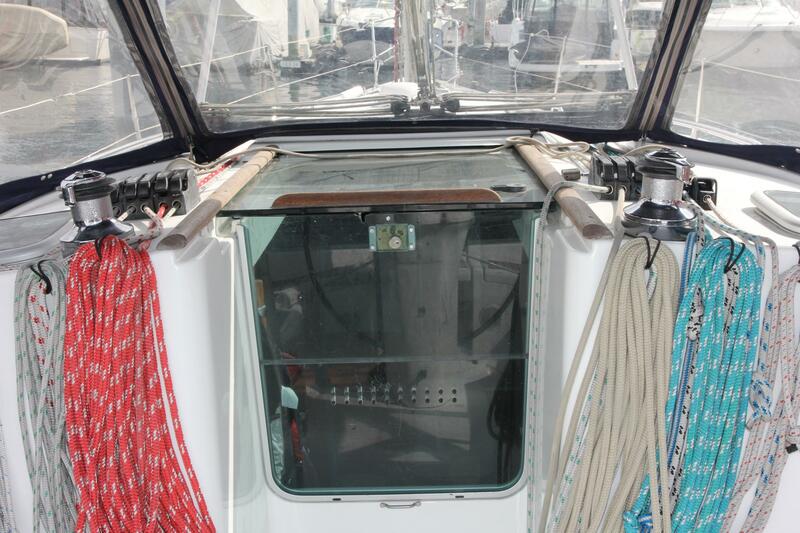 Walk-through transom gives access to molded fibreglass swim platform with starboard swim ladder. Vessel finish is white gelcoat with a black boot and shear stripes. 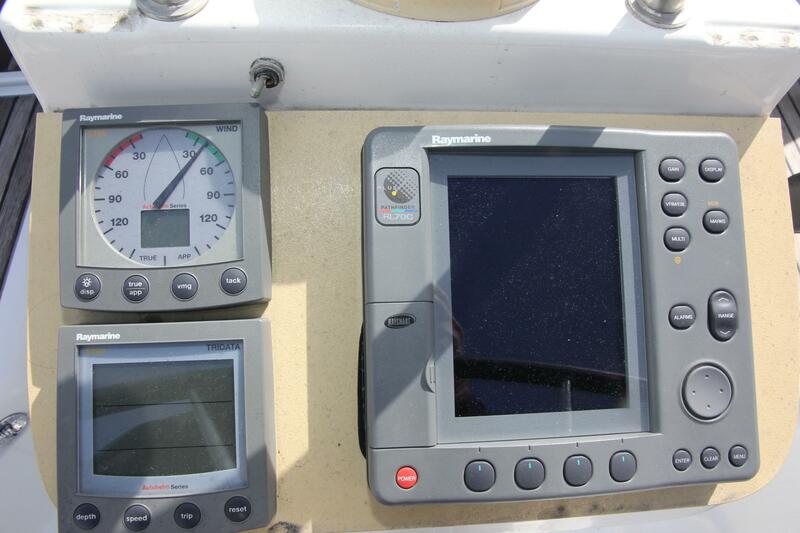 Blue Moves is equipped with Raymarine system found on virtually all Beneteaus. 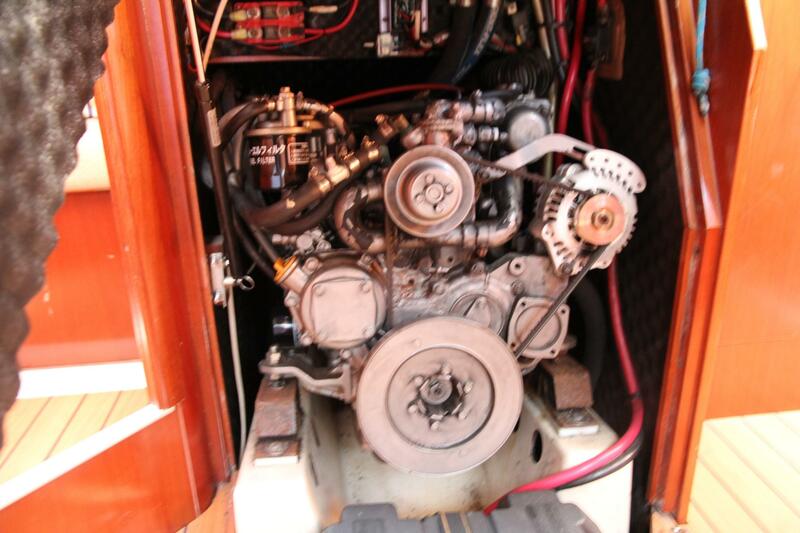 Yanmar 4JH3E 4 cylinder diesel engine 56 hp 1371 hours. 2 X12 Volt Magnasharge for house supply, plus 1 X 12 volt for engine start. 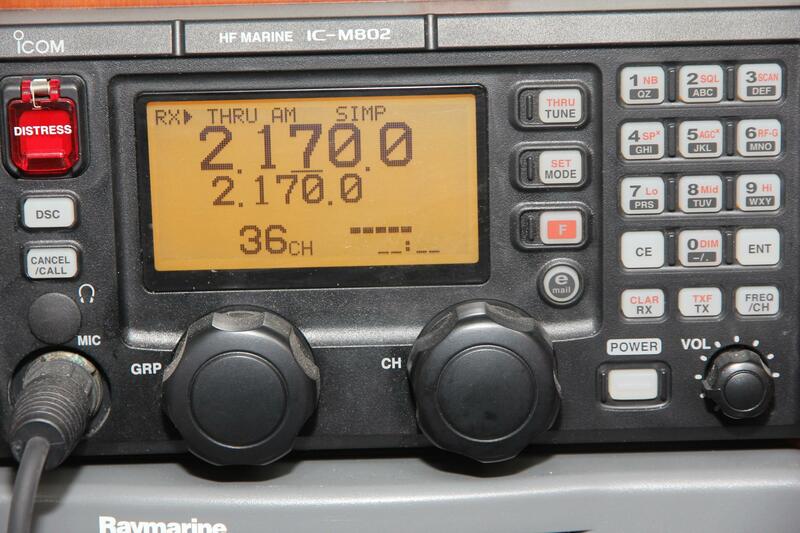 Xantrax battery monitor. 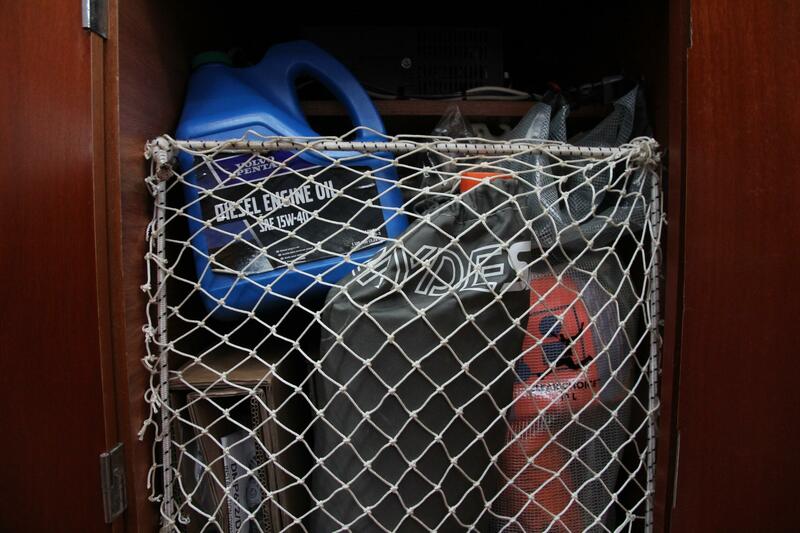 Magnacharge batteries secured under aft berth, start battery secured in a plastic box in machinery space. 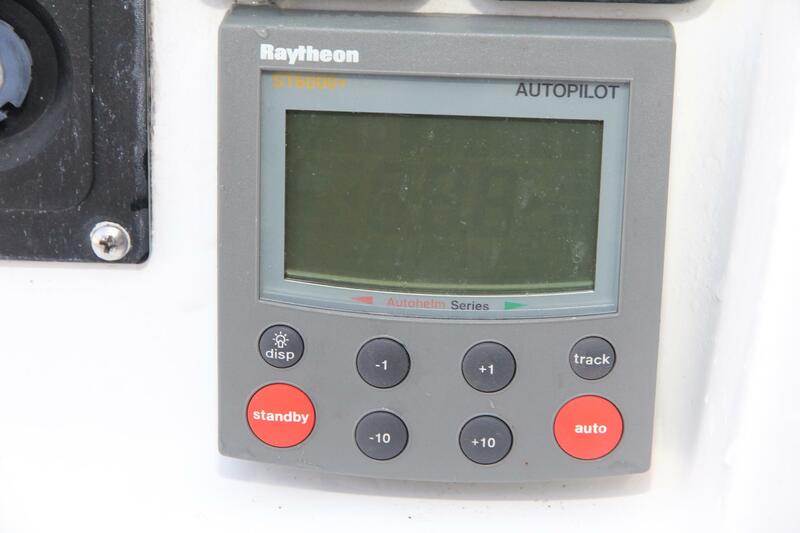 Sentry 20 amp battery charger. 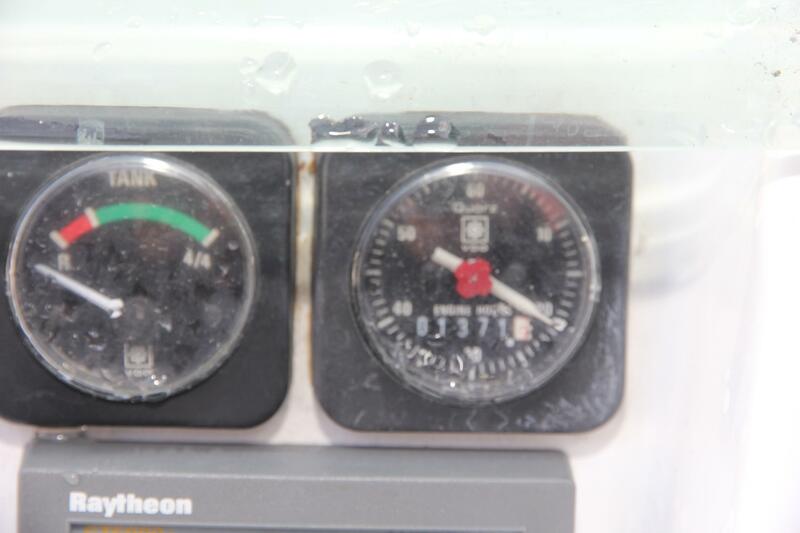 New (August 2015) alternator on the engine. 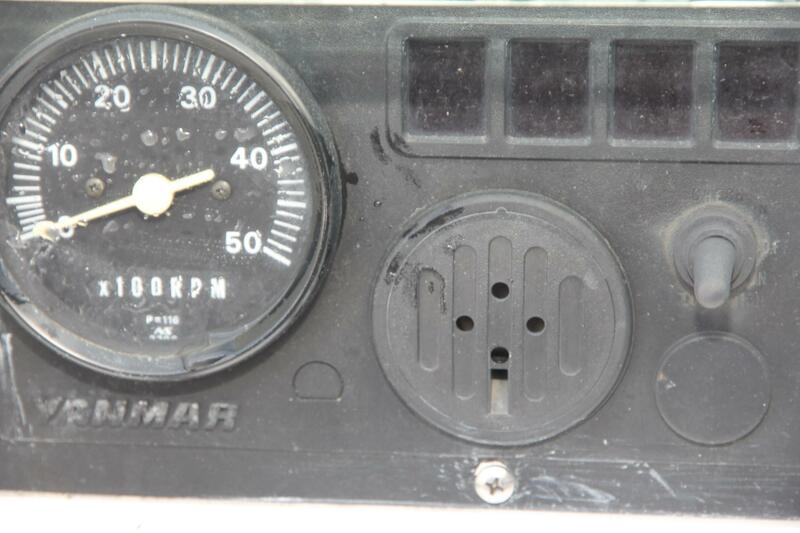 Webasto Thermo 90s Hydronic Diesel Heat. 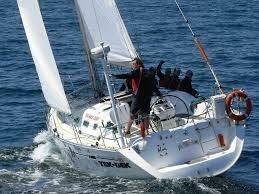 The mainsail is a fully batten mainsail. 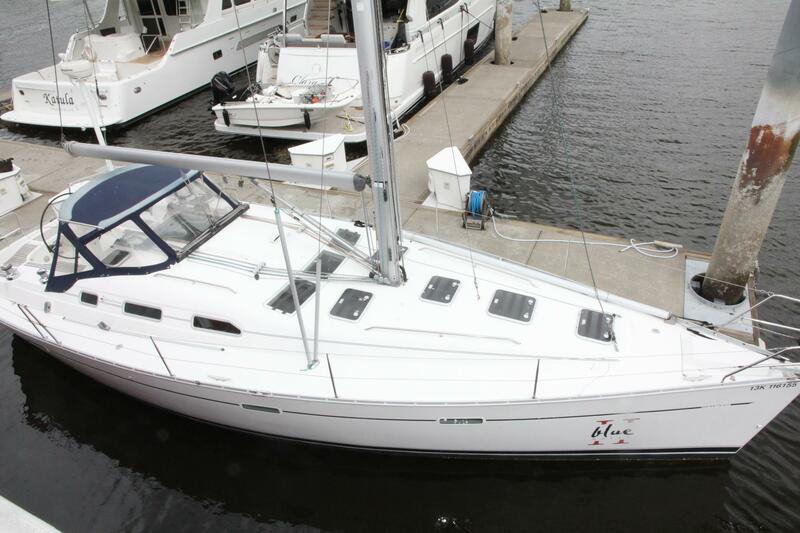 Based on the highly successful Beneteau 473 and designed by renowned naval architects Berret / Racoupeau Yacht Design, the Beneteau 393 is a unique 39-foot passagemaker that answers the long awaited quest for a serious bluewater cruiser. 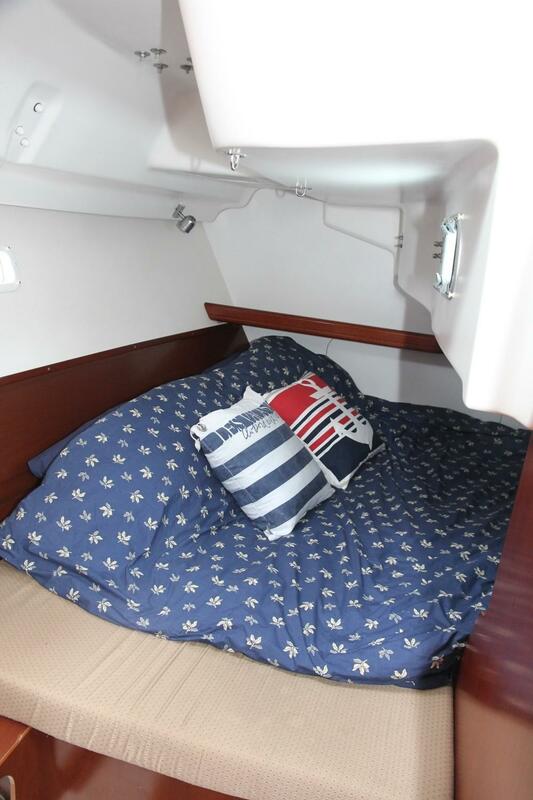 Roomier, more spacious, and boasting some of the best accommodations to be found, the 393 will be sure to please the most scrupulous of sailors. 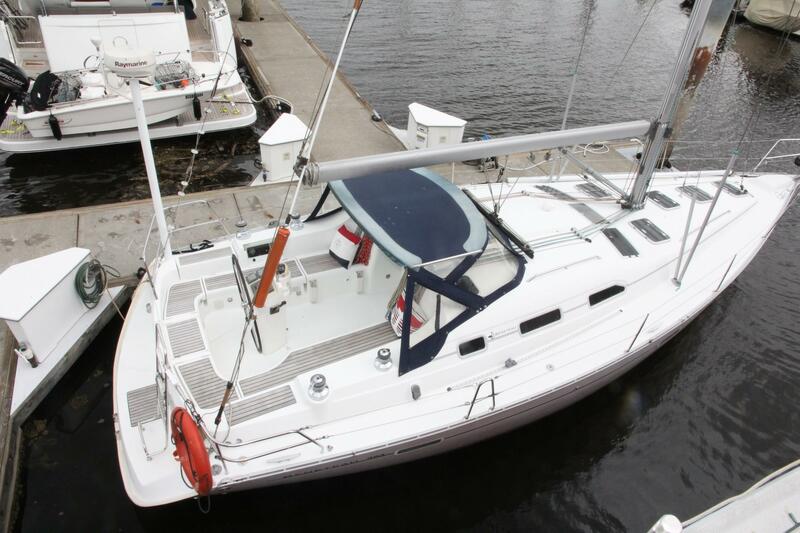 Hi there, I would like more information about the Beneteau 393.